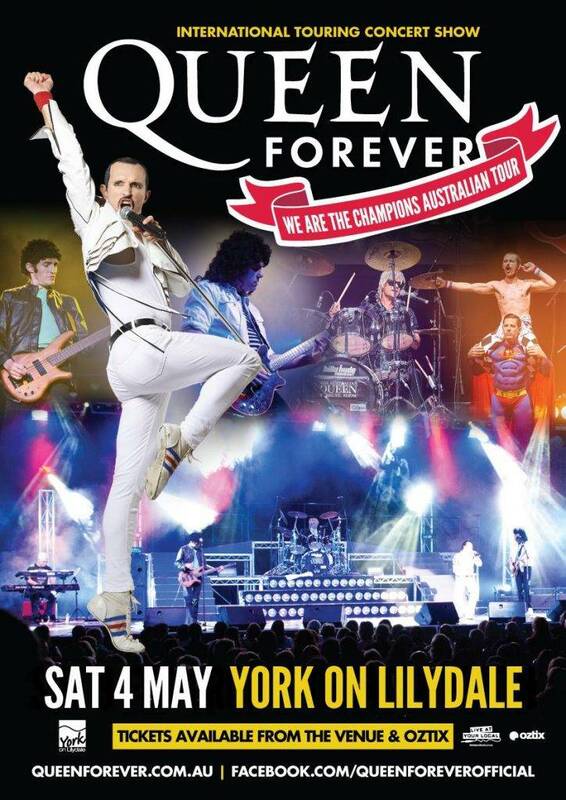 Queen Forever are ready to ROCK YOU with a night of heavy metal, feet stompin’, glam rock! The kind that turned Freddie Mercury and his band of misfits into 70s icons. 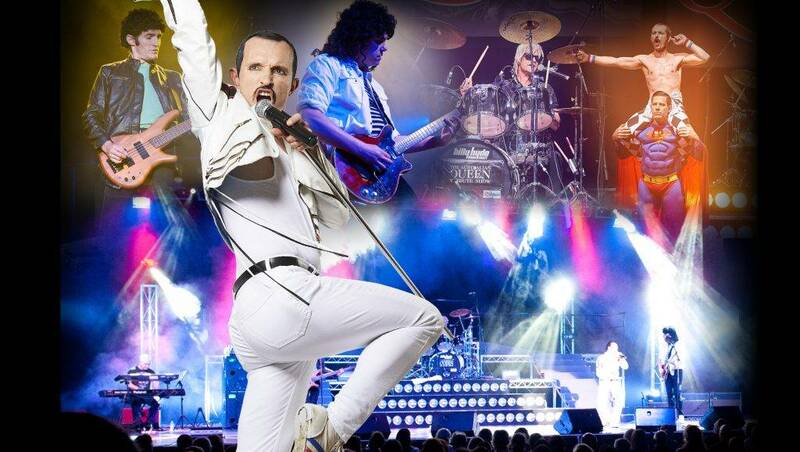 You’ll be going GAGA as we relive the legendary music of British rock legends, Queen, complete with authentic costumes and ground-breaking rock harmonies. 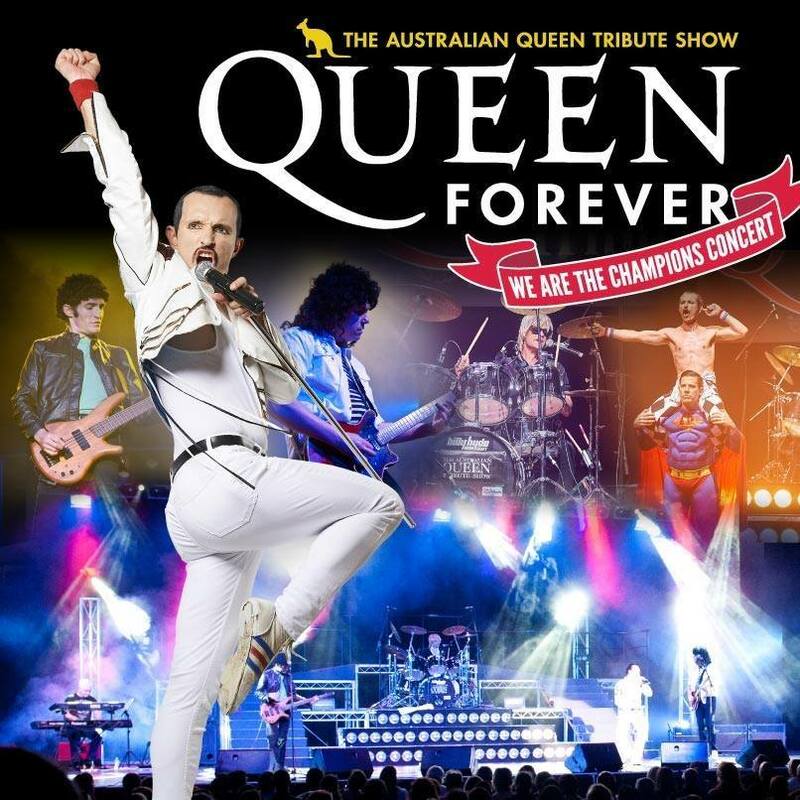 If the stunning portrayal of Freddie Mercury by Gareth Hill doesn’t completely blow your mind, the pick flyin’ guitar solos of Brian May will surely finish the job. 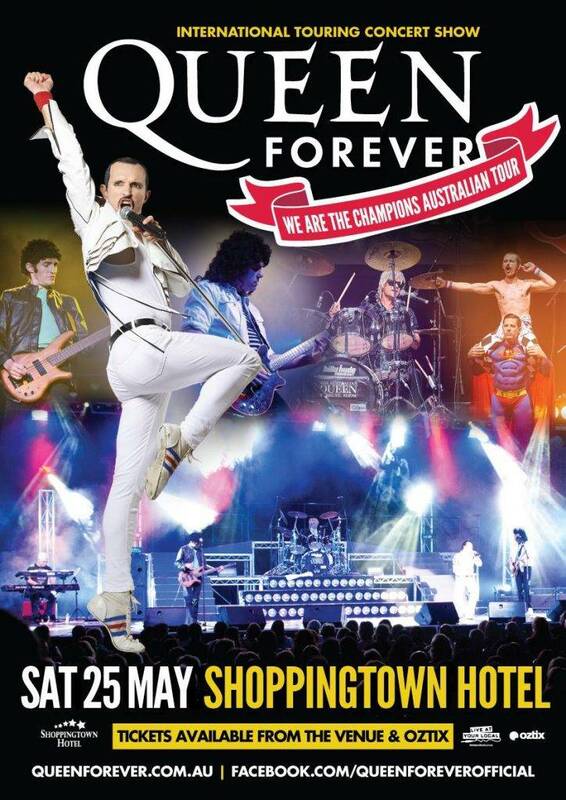 We’ll be rockin’ out to all of Queen’s biggest hits including Crazy Little Thing Called Love, Radio GaGa, We Will Rock You, We Are The Champions, You’re My Best Friend, Another One Bites The Dust, Fat Bottomed Girls, Don’t Stop Me Now, Somebody to Love, Killer Queen, and of course, Bohemian Rhapsody. Leathers and head banging ARE optional but you better come ready to ROCK!